Our Passionfruit Martini is rich and fruity. A glorious combination of passionfruit and Vodka. 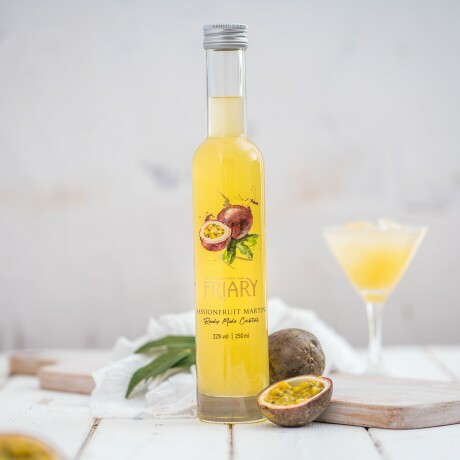 The sweet vanilla vodka flavours are balanced by the sharpness of the passionfruit. Creating the perfect Passionfruit Martini. Pour into a shaker filled with ice, shake, strain and serve in a martini glass. For some added finesse serve with half a passion fruit to garish. The perfect accompaniment to an evening shared with friends.